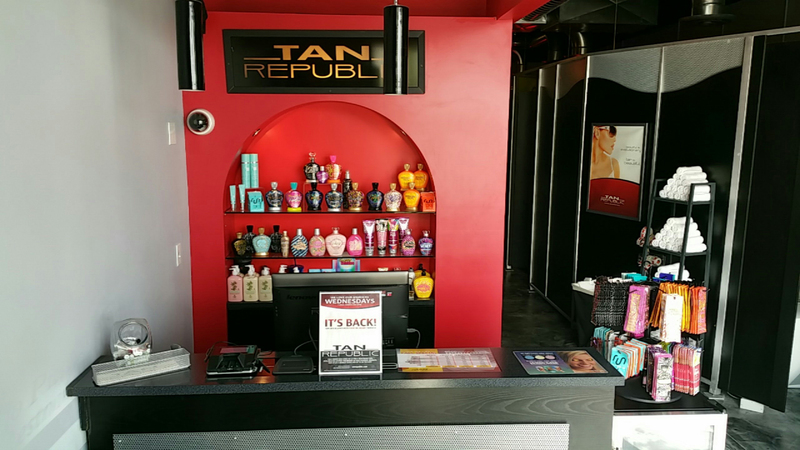 Tan Republic Lacey is located in the Landing at Hawks Prairie Located at the Marvin Way exit off of Interstate 5 in Lacey, Washington. 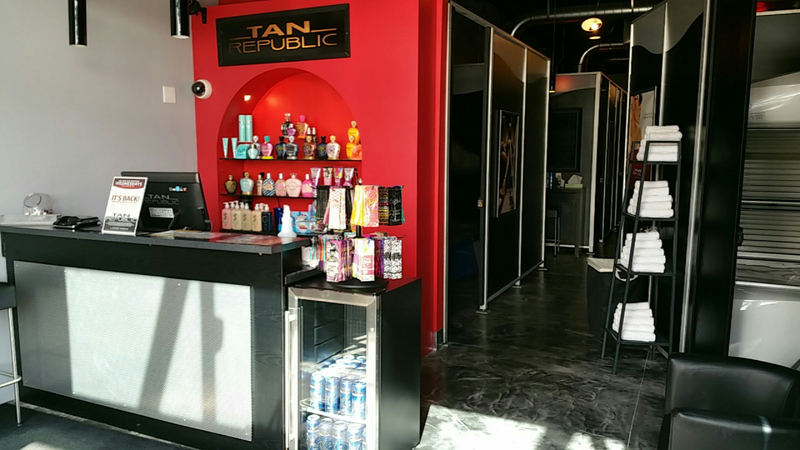 Tan Republic Lacey is in the same strip as Hand and Stone, Galaxy Nail Spa, Game Stop and across the parking lot from LA Fitness and Walmart. 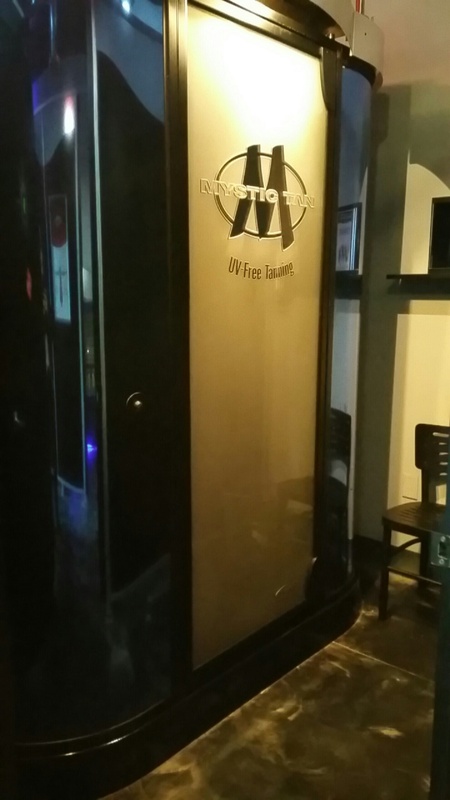 The Lacey Salon features the latest in both UV and UV Free tanning. 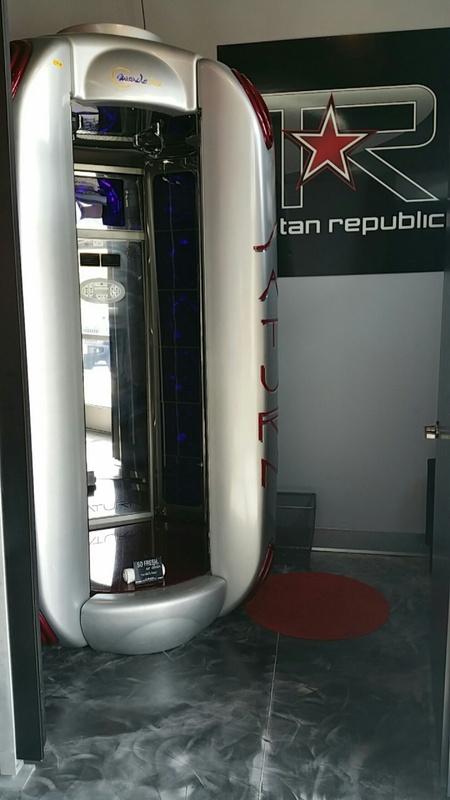 We feature true High Pressure tanning with the Saturn HP Stand Up as well as as second diamond level bed called the Ergoline Sun Angel and tanning. Overall we have 4 levels of UV tanning to fit any budget! Our sunless option features a Mystic Innovation 5000 Sunless Spray Tanning Booth with multiple level options for all skin types. This UV free option at Tan Republic Lacey gives long lasting results for every customer. We offer a full skin care line from Designer Skin, Sun screen from California Tan and Hemp Nation moisturizers. No matter what your skin care need in Tan Republic has it!